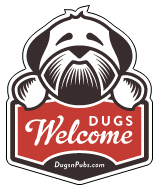 Dog Walkers & Daycare in and around Edinburgh. Furry Friends is a professional dog walking & cat sitting service. Established over 10 years ago we’ve been caring for all your furry friends while you are away. Passionate & reliable dog walking & pet care in Edinburgh. Areas of Edinburgh Covered: Leith, Stockbridge, New Town, Canonmills, Broughton, Inverleith, Trinity, Newhaven, Warriston, Granton, Abbeyhill and surrounding areas. Professional dog walker, pet sitter & pet taxi based in Edinburgh. Taking care when you’re not there. Our Doggie Day Trips are a combined Dog Walking and Day Care service where your four-legged friend gets to spend the day in nature. We travel to the countryside to explore woods, fields and hills. We want every day with Walk & Train to be your dog’s best day ever! There are a total of 15 posts in the Dog Walkers category.